We are proud to attend the 18th Indiasoft which is a national level event that was held in Bengaluru on 24th and 25th January. It serves as the platform for IT products and solutions like SAAS, Big Data, Cloud Computing, Mobile Application Services etc. across various industries. About 300 delegates from around the world, mainly from Brazil, Colombia, Nigeria, Kenya, Ghana and Uzbekistan and around 250 IT companies from across the country participated as exhibitors. 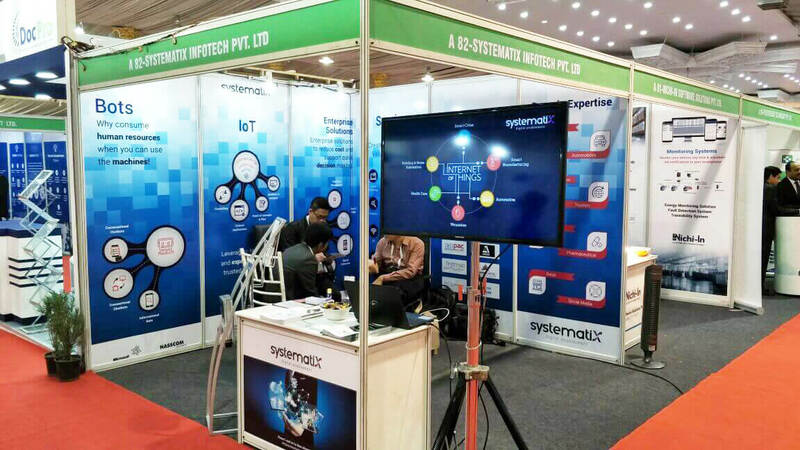 The amazing team at Systematix- Ritesh Dembani-Product & Innovation Strategist, Arun Aghi-Sr. Business Consultant and Geetika Vig-BDE represented the company in the event. 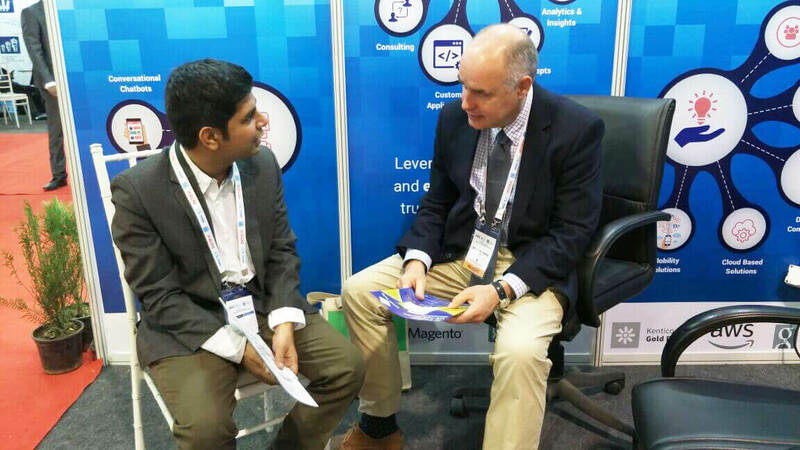 We exhibited technologies like Enterprise Solutions, Bots, IoT and digital techniques like Digital Marketing and their applications in industries which are our forte, to name a few- Logistics, Manufacturing, Travel, Automobile, Retail. We showcased Chatbots and E-Bins solutions which are based on A.I. : our evolving strength. These were met with critical appreciation. The event also had a significant space for Electronics, Media, IT Consulting and Tourism industries, thus making Indiasoft a protean gathering. What makes Indiasoft more than just an exhibition is the fact that it gives a platform for discourse, eventually trading the knowledge between people at all levels; experienced and newbies. The discourse took place on both the days as Q&A sessions for all kinds of companies including startups.